Phosphatidylserine (PS) is a naturally occurring phospholipid in the brain that has an important impact on specific neurotransmitters including acetylcholine, serotonin, norepinephrine and dopamine. 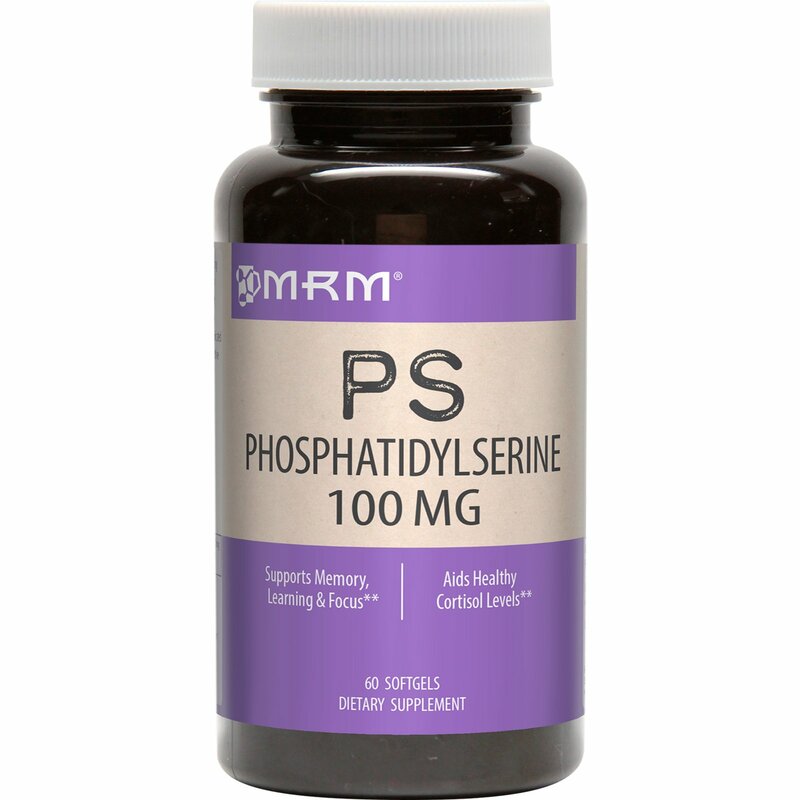 Numerous clinical studies have indicated that 300mg of PS taken daily demonstrated positive support on attention, concentration, focus and memory. Same material used in human clinicals. 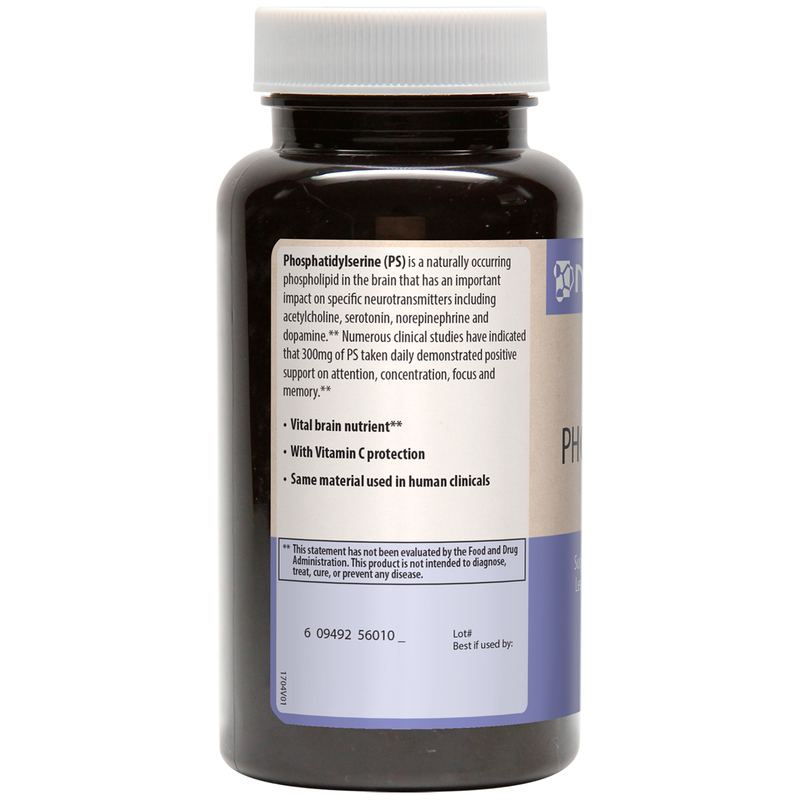 Take 1 softgel up to 3 times daily with a meal or as directed by your qualified healthcare provider. Softgel (st. john’s bread, gelatin, glycerin, and purified water), and soybean oil. 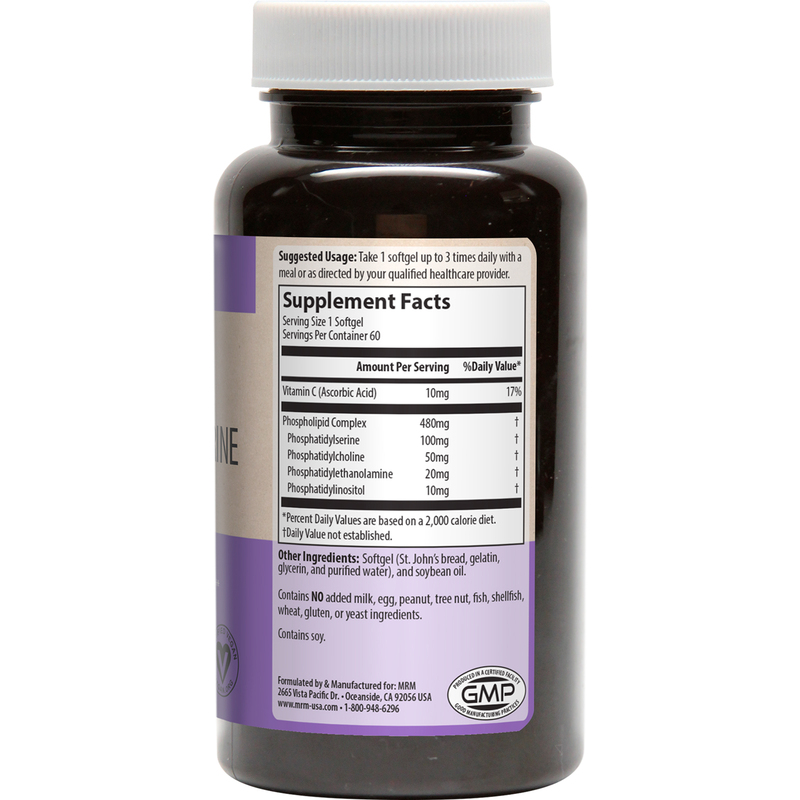 Contains NO added milk, egg, peanut, tree nut, fish, shellfish, wheat, gluten, or yeast ingredients.